My friend Jeremy Cole (https://blog.jcole.us/) who is a very qualified electronics hobbyist (and who does not live locally, so we did this remotely via pictures) has a hypothesis about my board problems. We probed the bad boards and found that they were just shorted VCC - GND. Not a low resistance or anything -- just a plain short. Yikes. 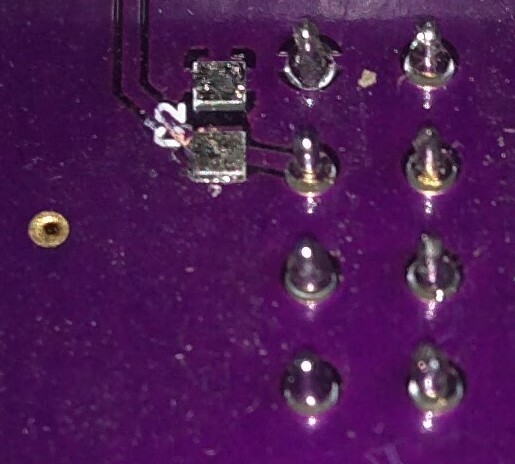 It is not a big stretch to imagine that this is the source of my "spikes" due to vibration on my otherwise "good" board too -- if something is really, really close, then it could indeed have an intermittent short. I am very grateful for my friend's help, without which I would have wallowed for many weeks or months without resolution. I'm taking a day off the Airball train to hang out with my family but will resume work tomorrow and post more updates as they come in.